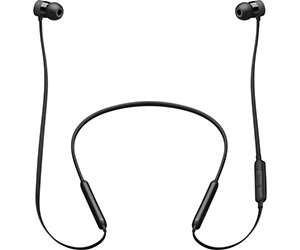 The Beats by Dr. Dre range of products has expanded to include popular wireless models, such as BeatsX earphones and Powerbeats3 Wireless in-ear headphones. Both feature Apple's latest W1 chip for easy pairing with the iPhone 7, as well as improved battery life. Right now, Apple produces four products with the W1 Bluetooth chip: Apple AirPods, Beats Solo3 Wireless headphones, Powerbeats3 earphones and BeatsX. Beats earphones are also available in a wide range of colors with prices starting under $100.